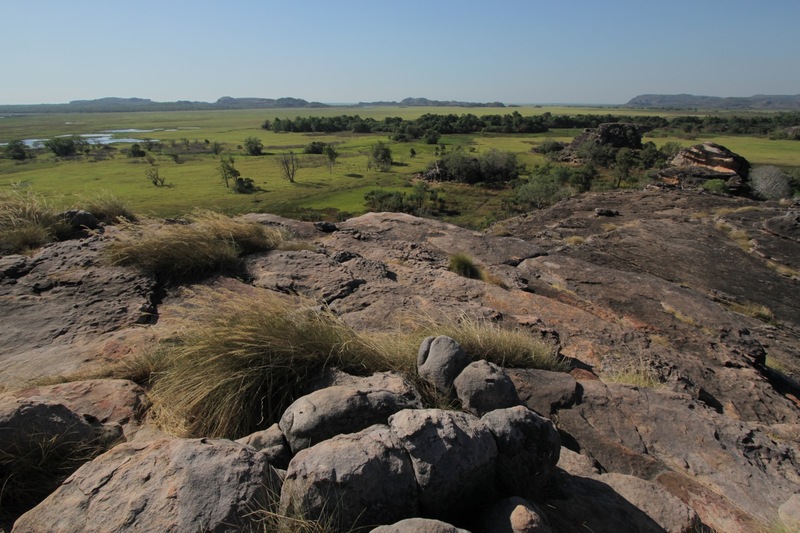 Kakadu is everything a national park should be: a massive and untouched sanctuary for diverse wildlife, a site to experience ancient culture, holder of some awe-inspiring scenery and natural beauty. At 20,000 square kilometers, it is Australia’s largest park, and is highly revered in guidebooks and the mountains of tourist literature that piled up in our car. 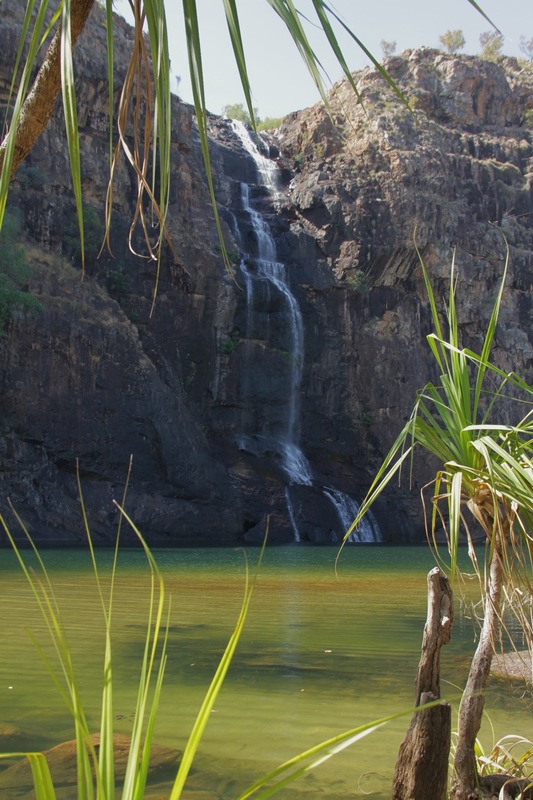 Unlike past parks where we’ve had hikes planned and sites to see, the three days we reserved for Kakadu were refreshingly blank of an itinerary, aside from exploration. One thing was for sure— after slogging along the Tabletop Track, we were more than ready for some lazy sightseeing featuring very short, very flat walks down paved paths. In the park’s excellent visitor’s guide, we highlighted trails clocking in under two kilometers and gave stars to the ones featuring a decimal point in front. Anything requiring footwear more substantial than flip-flops was out of the question. This was going to be an enjoyable three days. 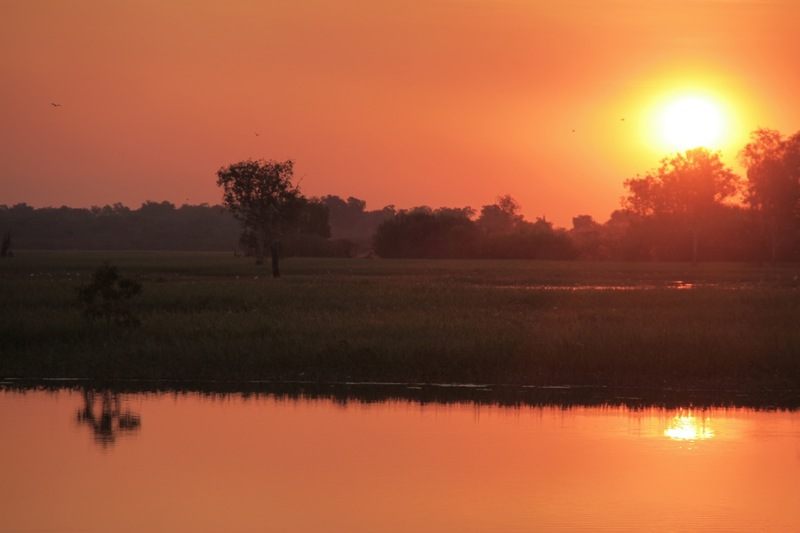 Kakadu is known for its lovely and life-sustaining wetlands, home to countless birds and fish, turtles, snakes and— possibly the scariest animal ever—estuarine crocodiles. Signs everywhere warn you not to enter or even get close to the water, frightening you off with a depiction of a toothy and malevolent-looking croc, jaws wide open ready to gobble you up should you dip a toe in the river. The scary part is that in Australia, warning signs mean something. 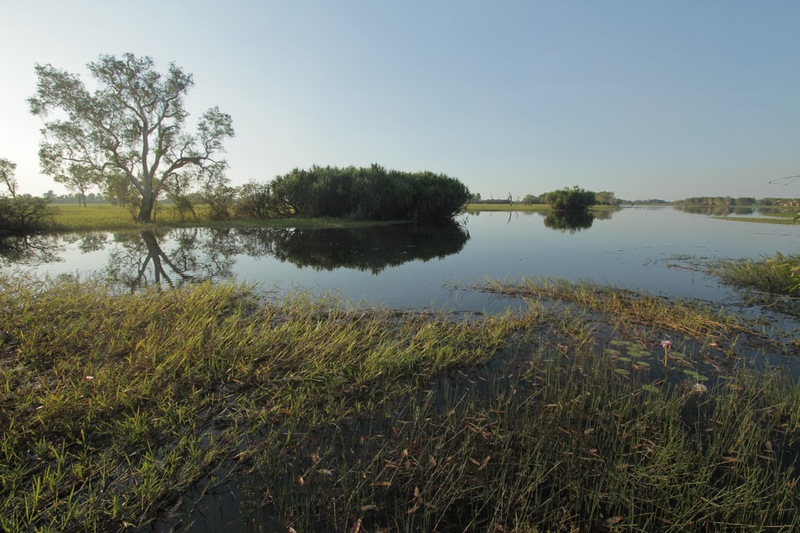 People have met their early and unpleasant ends due to croc attacks inside the park, and the stories are too common and too gruesome for comfort. We wanted to see one from a safe distance, and were on the lookout. On our first day, we spotted a massive yet disappointingly docile-looking fellow on the far side of the river, resting in the heat of the day. While impressively long and powerful looking, we wanted action, preferably involving him lunging up to eat a bird or annoying child. 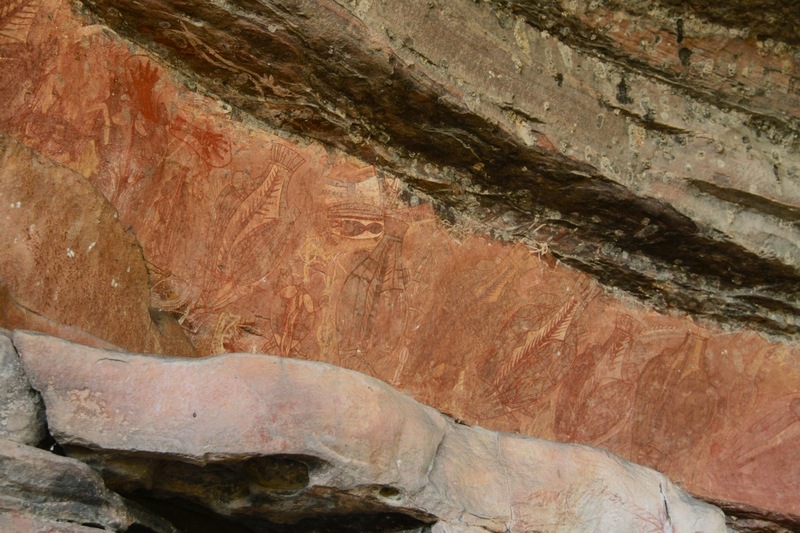 Kakadu is also famous for several extensive Aboriginal rock painting sites—something I’ve been wanting to see since we arrived in Australia. Painted in layers of ochre, pale cream, and deep red, the drawings depict several aspects of daily life—mostly, it seemed, dinner. 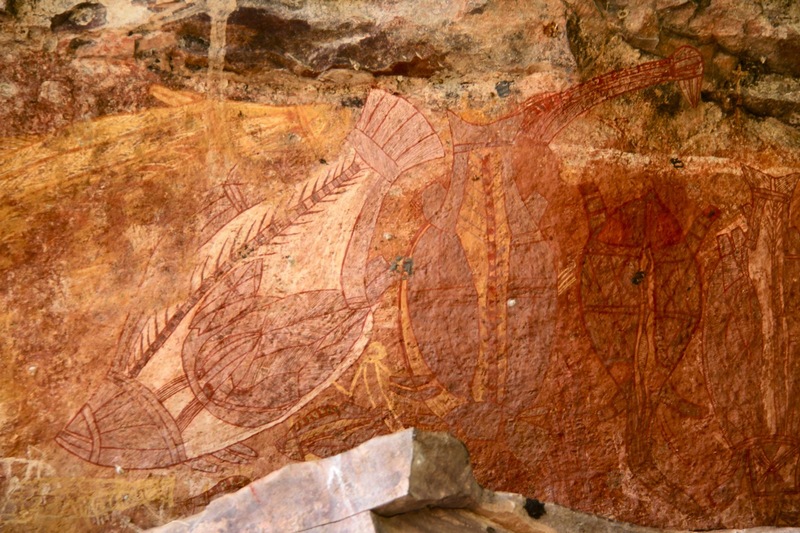 Barramundi, catfish, ­­­­­­­­­saratoga, long-necked turtles and wallabies all adorned the walls and roofs of caves at Ubirr, painted in a distinctive X-ray style. Since people often painted over other images, the older images we could see date back to somewhere the last 2,000 years. It was way cooler than we expected. After looking at several sites, we clambered up to the lookout. A wide floodplain extended below us, bright green except for a few lingering expanses of sparkling blue water. Reddish rocky outcroppings rose in the distance, and several dark green trees studded the plain. The occasional white bird or kite flew above the plain, and a vibrant blue sky spread above. We stayed up there for a long time, captivated by the colors, staring out at the plain as other visitors came and went. 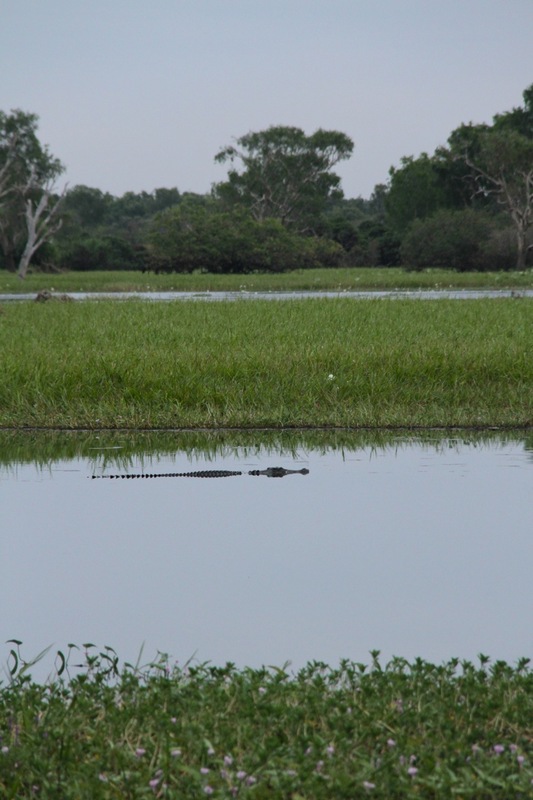 After tearing ourselves away from Ubirr, we stopped at Yellow Water, Kakadu’s most famous wetland. It was beautiful, with swaying grasses and light pink water lilies, but we wished the rather skimpy boardwalks extended much further into the wetlands. There is a river cruise that takes visitors far back in, but upon inquiring about their prices, we learned that it would cost us a shocking $66 to $97 apiece for an hour and a half—never! We disdainfully told them to go to hell (and by that, we mean quietly opted against the cruise, but complained frequently between ourselves afterward) and contented ourselves with trips up and down the boardwalk. All those wetlands make for hordes of mosquitoes, gathering in ever-growing numbers the moment the sun begins to go down. The voracious clouds forced us to seek refuge in our tent immediately after dinner each night and by morning they had found their way in between the mesh and the rain fly, still buzzing madly. At first light, we went back to Yellow Water for a last try at croc-spotting. A faint pink blush lit the eastern sky, and in the distance a herd of wild horses grazed in the lush grasses. We watched countless white water birds swoop along the river’s edge and tiny, brightly colored birds flit from stem to stem. Suddenly, we realized that the dark spot we’d assumed was a log was moving. Walking closer revealed a crocodile swimming along slowly—not enormous but definitely big enough that we didn’t want to jump in the water or anything. Sometimes we could see its entire scaly back and a single line of bumps reaching to the tip of its tail. Other times it would sink so low that only its eyeballs were visible, if you knew where to look. Eventually, it drifted into some grasses that looked much too substantial to harbor such a large reptile, and was completely obscured from sight. You would never know there was a croc lurking there. A scary thought. 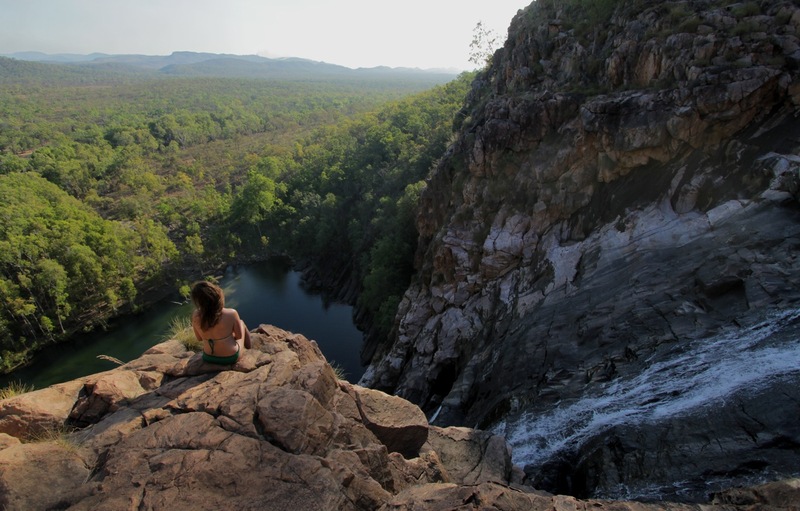 Satisfied, we made our way to the southern end of the park for one of Kakadu’s other main attractions, Gunlom Falls, where the river fills numerous clear rock pools before cascading hundreds of feet into an enormous turquoise pool at the bottom. Perfect for leisurely swimming and lounging, entirely free of crocs! 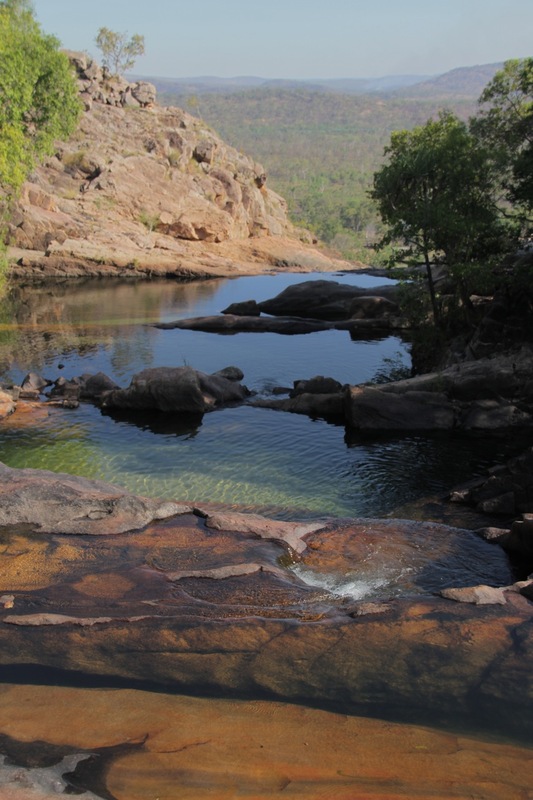 After a steep climb to the top, we started at the lip of the falls and explored the pools one by one, clambering upriver from rock to rock, jumping in, and drying off again. As the shadows invaded the riverbanks, we moved toward the edge of the cliff to watch over the miles of untouched valley below us. The sinking sun traced the edge of the cliff, bathing our lookout in warm afternoon light as it met the smoke from faraway bush fires. This monitor lizard was the largest reptile to be found. Of the many incredible things we have seen and done in the past six months some moments still manage to stand out; sitting here, we knew, would be one of them. 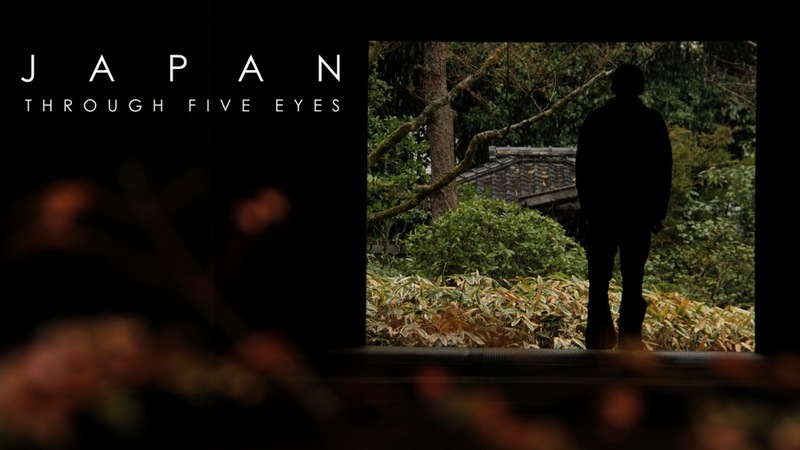 This entry was posted on July 10, 2011 by Five Eyes Films. It was filed under Uncategorized and was tagged with australia. I look at your posts every time they come – what an adventure for both of you! 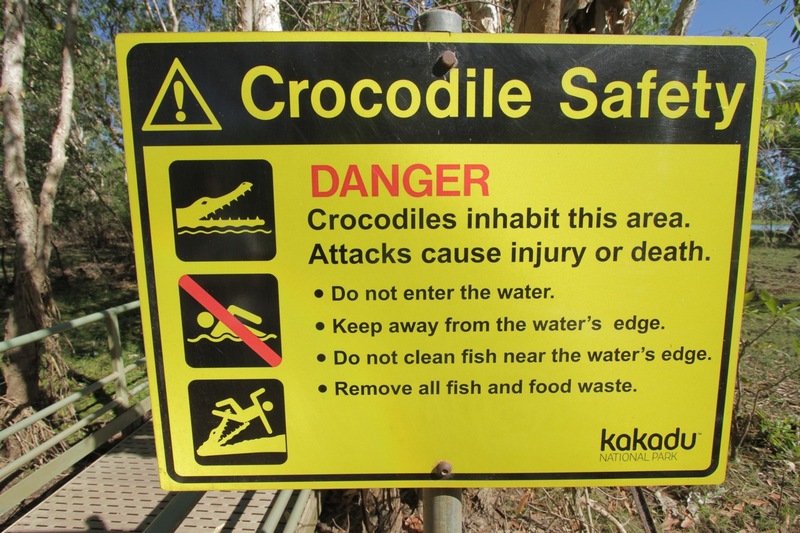 It is good NOT to play with the crocs – I’m glad that common sense still guides you. 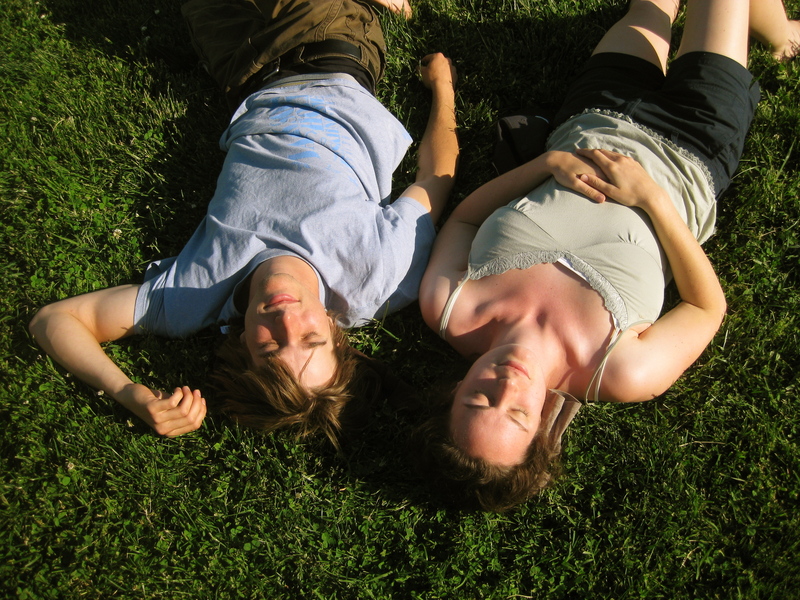 Getting to know one another with having to trust one another – wow, what a learning experience! 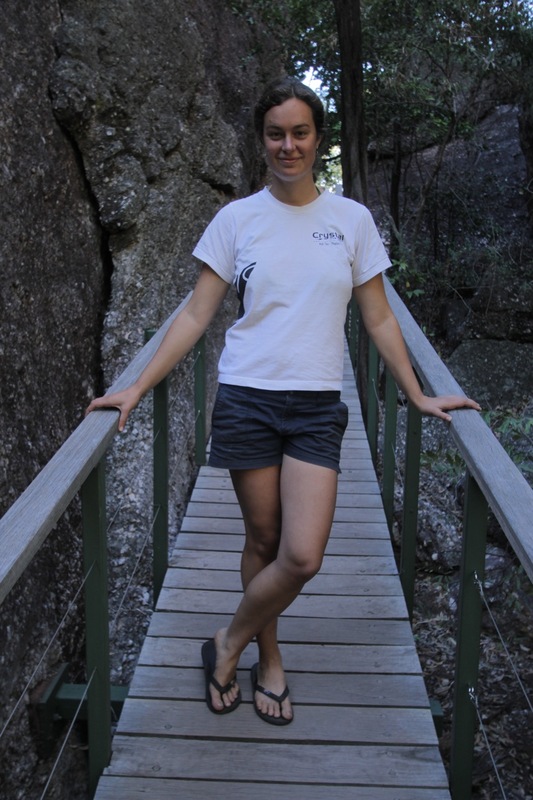 Your sense of adventure is greater than mine – aiming into parks with unmarked pathways, climbing down rocky hillsides, tenting with all the mosquitoes – not for me! But thanks for sharing your journey – will be great to see you when you return! its certainly an adventure. glad you’re enjoying the blog! Looks like a beautiful park! Glad you got to take it easy for a few days! Ubirr must have been incredible! It seems so well preserved…amazing shots, I especially love the last one. Beautiful!! 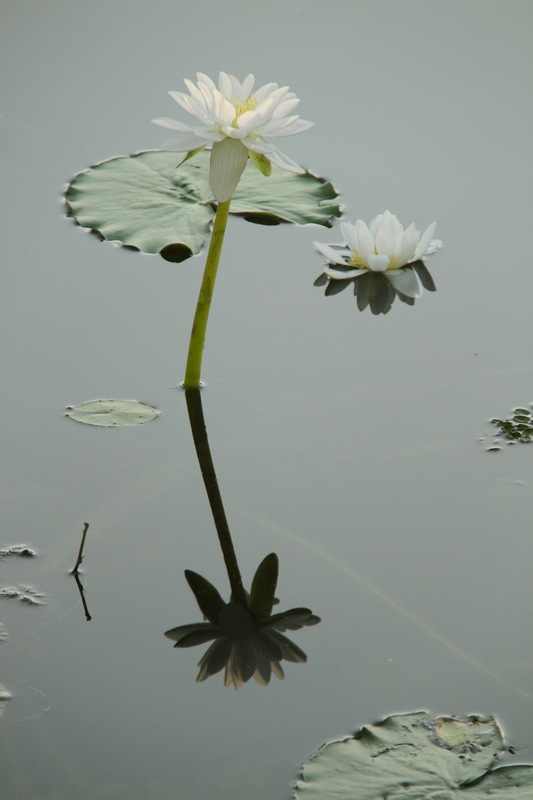 Its wonderful to see everything you are experiencing, whether good or bad.